The nine countries were called to an Air Quality Ministerial meeting in Brussels today, giving the UK along with the Czech Republic, Germany, Spain, France, Italy, Hungary, Romania and Slovakia the chance to prove that they are taking action to comply with European air quality laws following final warnings of future legal action sent last year. 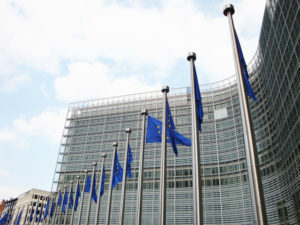 However, speaking after the meeting, EU Commissioner Karmenu Vella said that he did not hear any suggestions from the assembled environment ministers that were “substantial enough to change the big picture”. The next step is referral to the Court of Justice of the EU. The summit comes as London reaches air pollution limits for the whole year, just 30 days into 2018. The limits were reached on Brixton Road, Lambeth this morning. Under EU rules, a limit of 200 μg/m3 of nitrogen dioxide cannot be broken for more than 18 hours in a calendar year.